It really is. Delicious. I promise. I posted a version of this recipe some time ago. Since then I've adjusted it and tweaked it and turned it around a ton of times - and recently reminded myself of how much I enjoy it and my daughter likes it and how great it is to have breakfast for an entire week once you've made yourself a pot! 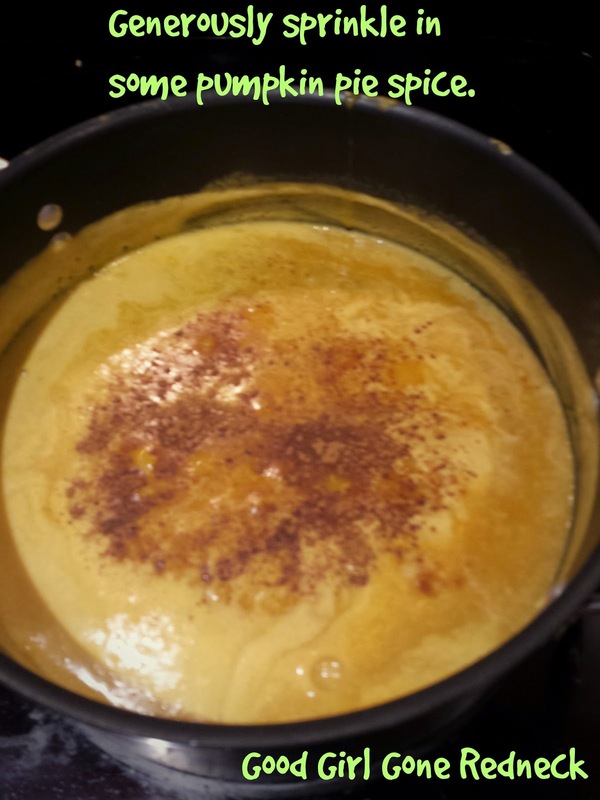 Bring the water, almond milk and pumpkin to a boil. 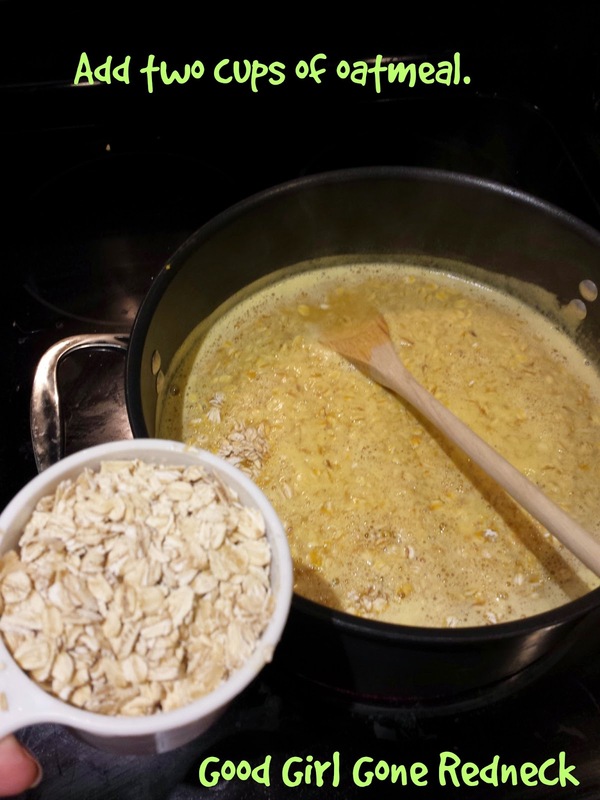 Add two cups of oatmeal to your boiling mixture. 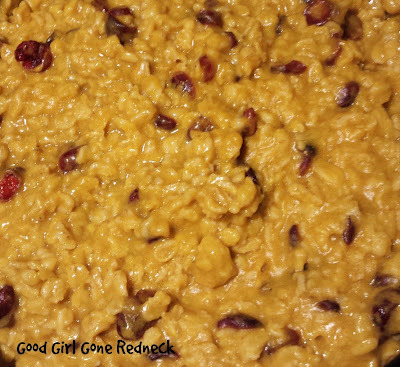 by using gluten-free rolled oats. Sprinkle in some pumpkin pie spice. Right around here is where I add the brown sugar. It's completely optional but I really like some in my oatmeal. but splash some in or use about 1/4 cup. Next, add your dried fruits. I used cranberries. 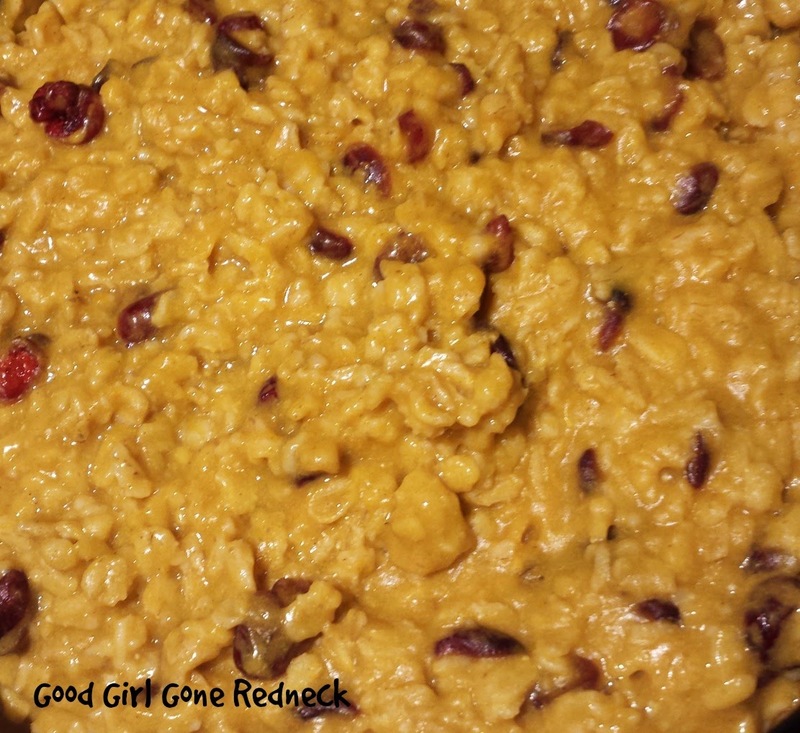 I've also made this with raisins (regular or golden) and it's really delicious. One of my favorite versions includes slivered almonds. Almonds are so good AND add great proteins to your breakfast! Now ... take a look at how delicious it looks. It's so easy and so good. And filling. It's a hearty and warm breakfast that is perfect for the cooler months. It keeps me full for several hours instead of leaving me craving a snack or crashing from a sugar high. What I love is that you can make it on a Sunday and have breakfast for the entire week - or have a few days worth for the whole family. I'm sure doubling it would work just as well, but for me it's easy enough to make it again if I'm in the mood for it. I store it in a Pyrex bowl in the fridge which allows easy access and simple storage. So - make yourself a batch this week and let me know what you think. That looks SO yummy! 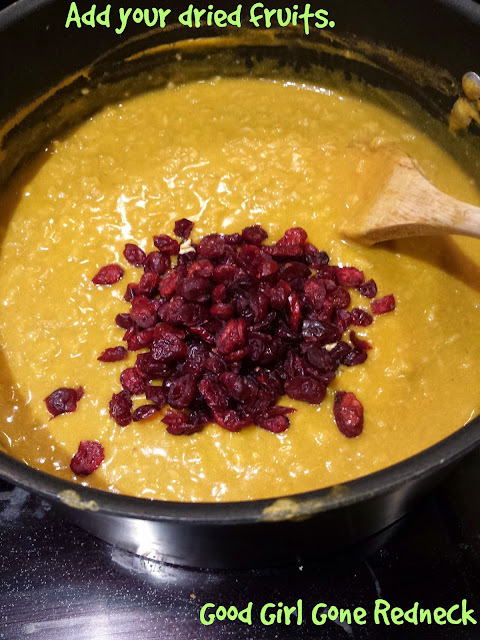 Everything kind of does right now, because I'm fasting, but cranberries & pumpkin together - delish! These are my favorite meal. Yummy! This looks divine! I love pumpkin. Love. That looks yummy! I have one similar with bananas and applesauce, but haven't thought to use pumpkin yet. I love pumpkin recipes, though! 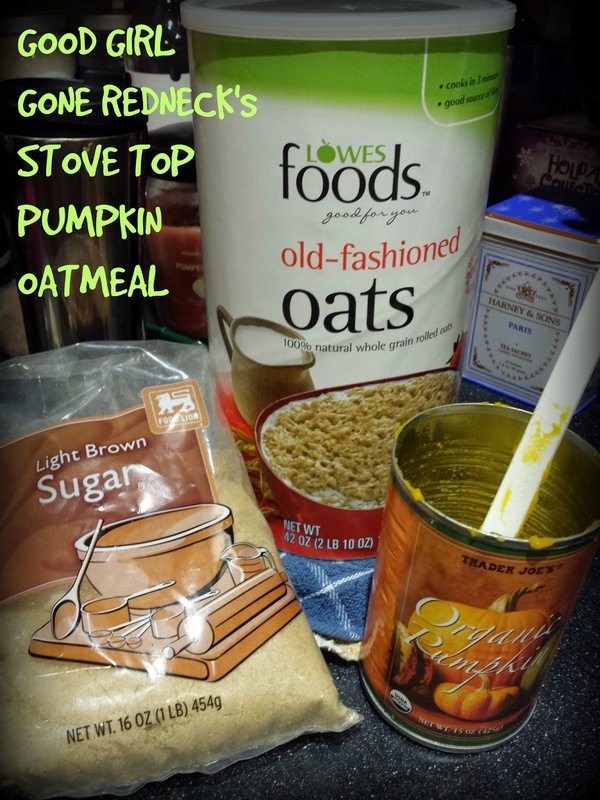 I often add pumpkin to my oatmeal. It's delicious. I also add chopped pecans and sometimes. chopped dates. Delish! This sounds yummy and comforting on a cold morning! This looks so good! I love oatmeal AND pumpkin. 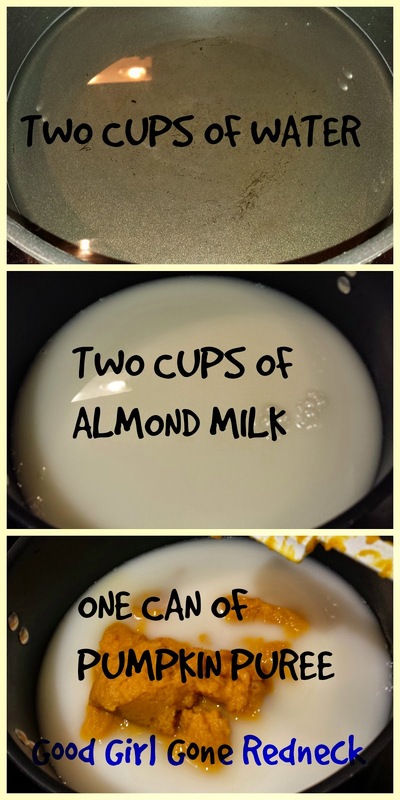 I am starting to use almond milk all the time for me now. I like it. This sounds good, I actually have all the ingredients for this right now except for the cranberries. would it be bad if I left that out to try?